Intrepid heroes from across the literary canon reinvent the stories you ought to have read in school. Can our heroes save literature from the corruption of time? Will they put other characters back in their proper narratives? Jane Eyre - The de-facto leader of the band, Jane's skills as a babysitter make her ideal for corralling the rest of her earnest companions. Mr. Toad - Lord of Toad Hall and a noted automobile enthusiast, Mr. Toad brings "a touch of aristocratic class" to the group. No one else thought they needed that but who's counting? Beowulf - Shield breaker, serpent slayer and champion of the Geats; Beowulf is the muscle of the band bringing his particular brand of combat wherever he goes. The Ghost of Christmas Past - The long dead, likely English, specter of things as they have been joins our team of merry adventurers with a unique ability to probe the mind and see into the past of anyone the team meets. After the fall of the United Galactic Federation of Associated Planets Chuck Codger collected the mightiest heroes humanity had to offer and set out on a quest across the stars. Out there, in the vast nothing, they’ve discovered one abiding truth: in space, no one wants to hear about your complaints. Chuck Codger - Nominally the captain of the Business, it was Chuck’s idea to come out here in the first place, so he gets the blame… er, credit. Mabel - Mabel may have lost most of her hearing but she’s still a genius, perhaps the smartest woman in the galaxy. Now that they’ve left the galaxy someone else probably has that title. Doc - Once one of the most famous surgeons in the galaxy. An incident years ago may have cost him a lot of his long term memory but none of his skill. Eric - By far the oldest and most decrepit of the heroes of the Business. He moves really slowly but has displayed a certain indestructible nature which has ensured his place among the crew. Leslie McFlusher - Once Chuck's plucky ensign in the days of the UGFAP, Leslie is now a full grown woman in her late thirties. She’s a dynamo in hand to hand combat, having trained under Chuck. Alex (Alpha 6) - Alex trained as a mechanic before leaving the system to join the android space navy of Glise. She learned their ways and became one of their tribe. She also picked up some of their accent. Bax was a perfectly happy background character in the starter village of Highdale. Standing motionless behind a counter was all he ever knew. That was until Sir Adwin, the hero of Bluehaven, came into his shop and insulted the wooden swords they sold. Now Bax and his growing party of misfits and non-players are on a quest to hunt down this Knight through a video game inspired world, and show him that there is more to his swords, and himself, than meets the eye. Bax - A young shopkeeper with an axe to grind, well actually a wooden sword. Menu - Bax's otherworldly guide on his quest through the unknown land's of Bluehaven. 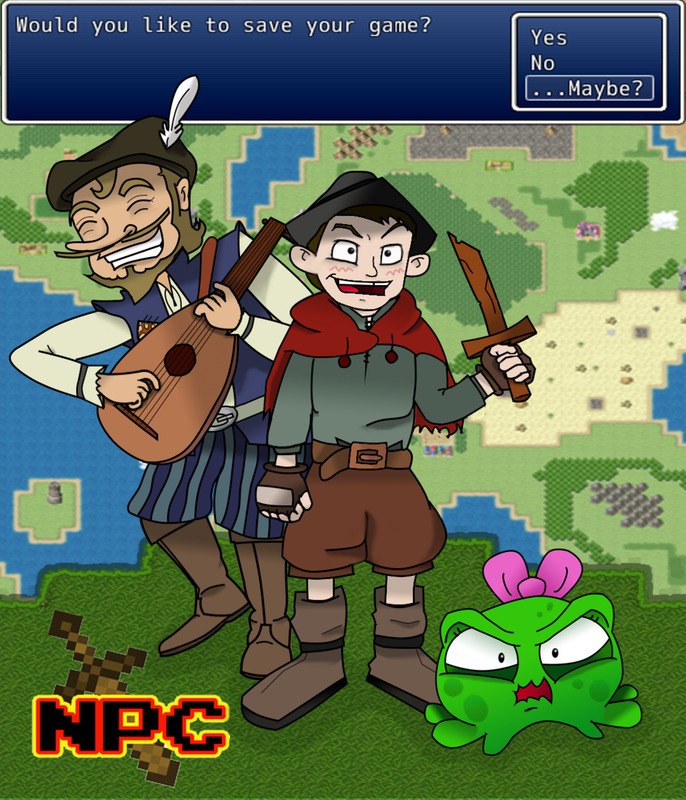 Squib - A foul-mouthed slime child who joins Bax on his quest to find Sir Adwin. Trumbly - A mysterious bard. Not much is known about him, but he's always just a little too happy. Lucia - Witch of the desert, who also holds the power to harvest broken Menus. Wyatt - Bax's taller, more handsome older brother. He likes to think he's awkward, but in like, an endearing way. 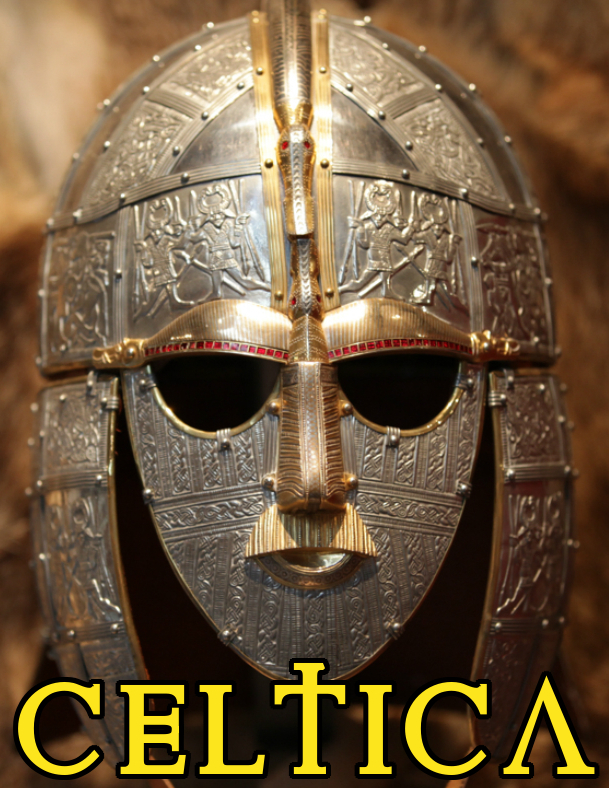 History turns to legend in this adventure serial set in first century Britain. Euvrain- By day Euvrain is the Queen of the Britains, ruling the kingdom of Northsex but by night, she is the masked hero known as Celtica! Gwynedd- Euvrain’s trusty druid adviser and a powerful master of the native magics of Britain. Gwynedd made the magic helmet that gives Euvrain her power. Wulfric- The very diplomatic King of Northsex and Euvrain’s devoted husband. An anthology series about the perils, peccadilloes and pratfalls of growing up and going to camp. Each episode features a new camp with new characters! Original PC: Taylor Katz — with Karolyn Blake. The Truth Kittens were content to live in their cloud kingdom left to their own devices and to live out their own personal truths. When their neighbors are brutally murdered, even the most aloof of cartoonish kitties takes action to solve the crime and make sure the world is safe for truth; whether the world wants truth or not. The Olympians have just conquered the Titans. The earth and heaven both were rent in the process. So until everything is back in order it's time for the new gods to take a break on the shore. What could go wrong when five Olympians take up residence in a sea side party house? Zeus - King of the gods, Lord of Olympus, guy who always insists on the biggest best room... Zeus is in charge whenever Hera is out. Hera - Queen of the gods and protector of women everywhere, Hera has a take charge attitude and special need to take charge of Zeus' affairs. Demeter - God of nature and all things which grow, Demeter has opted to live in the gardens of the shore house which she has done some amazing landscaping feats with. She's also the local pharmaceutical and horticultural enthusiast. Poseidon - This dude knows whats up dude. Poseidon resides in the house's pool which is just the way he likes it... full of water. Poseidon enjoys long walks of the beach and horseback riding. Hades - Lives in the basement. That's all anyone cares to know. Heather answered her grandmother’s call to come home to New England. How could she have known that the world of magic would be waiting to greet her there? A pair of sisters do their best to try and run the “family business” left to them by their father, notorious mob boss Rocco Carmicci. The sisters must contend with local flatfoots, persistent G-men, rival gangsters, and a slew of newfangled vigilantes that have taken to wearing masks and costumes. Bernice Carmicci - The current Boss of the Carmicci family. Younger of the two sisters, Bernie is impulsive, hotheaded, and more clever than smart. Displays an aptitude for running “the business” but lacks the ability to extricate herself from difficult situations. Hildred Carmicci - Holds a law degree, and was originally intended to be the “legitimate” sister. Elder of the two sisters, the calm, intellectual Hildy has been pulled into service as the family’s Consigliere. A bit of an odd-duck. Officer Lazuli - An honest, by-the-book cop that works strictly within the confines of the law. Tries his noble best to put an end to the Carmicci Family’s dealings, but his own unwillingness to break the law always puts them just beyond his reach. A high-flying steampunk pirate adventure set in the mystical world of Aethernium. Sailing the skies in their airship, The Free Spirit, Wendy and her troupe of pirate rebels seek to bring down the oppressive Iron Empire, all the while making merry and sharing their spoils with the less fortunate. Wendy O'Malley - A spirited young woman with a love for children and a penchant for taking ridiculous, often unnecessary risks. Mr. Box - Wendy’s clockwork companion since childhood. A polite mechanical butler in the form of a walking treasure chest with arms and legs. Widgit - A child prodigy and technological genius. Easily excited. Keeps The Free Spirit and her respective devices in working order. Grand Nobleman Thaddeus Slouch - Hedonistic, morbidly obese ruler of the Iron Empire. Gets around in a floating chair. Obsessed with the accumulation of money, power, and any kind of roasted meat. Admiral Amadeus Harker - Highly refined though ruthless admiral of the Iron Empire. An over-the-top gentleman in personality but heartless in practice. The tale of an office drone desperately trying to untangle himself from the highly convoluted situation he’s become unwittingly trapped in. This all unfolds deep within the bowels of the labyrinthine office complex of the Paradise Corporation. Waylon Raleigh - One of the lowest rungs on the office ladder, he is minimally capable at his job, and wholly unprepared for the nightmare of office intrigue that he gets sucked into when mistaken for superior-grade employee, Raymond Wally. Personal Assistant - A small device issued to every employee. Allows the employee to report their hours worked, and serves as a “helpful” guide in the office building. Waylon talks to his. Mr. Whiteknuckle - Executive Officer of Paradise’s Corporate Counter-Espionage Department. Terrible with names. Possibly completely amoral. Mr. Whiteknuckle is responsible for initiating Mr. Raleigh’s unfortunate journey. Cover art for Geezerspace, Mob Daughters, Lost in Paradise, Merry Wench Wendy and Public Domain Adventure Team created using the online "Pulp-O-Mizer" tool by Bradley W. Schenck.